Any time a dishwasher begins to falter, it should be examined. A functional weakness means poor performance, which is unacceptable for this type of appliance. Finding a Ontario dishwasher repair service to look at your dishwasher isn’t hard. However, you do want to stick with a highly experienced and professional business for your dishwasher repair in Ontario CA. Dishwasher repair services from our team cover servicing, repair, and maintenance work on your dishwasher. We can work on both residential and commercial models, and our repair techs have already dealt with countless makes and models. Whether it’s a common model or a rare import, we have both the know-how and access to dishwasher parts in Ontario CA to get the job done right. The biggest concern with fixing rarer dishwasher models is whether the dishwasher parts are accessible. 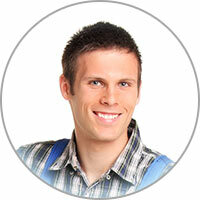 We have direct access to a wide range of dishwasher parts through our Ontario CA parts suppliers. Of course, there are some parts that are not available; ordering parts by mail may or may not be worth the effort. Every time we get a request for a dishwasher repair in Ontario CA, we inform the prospective client on whether it’s a reasonable choice. We don’t want our clients spending nearly the same to fix an old dishwasher as what they would spend to buy a new one. While we want to fix as many appliances as the Ontario CA area can throw at us, being friendly and honest are cornerstones for our business. If you need a dishwasher repair and want a fair shake, give us a call! 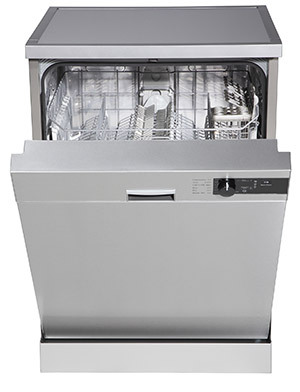 A dishwasher often starts to perform poorly when it is constantly overloaded with soiled dishes. It can also begin to work bad if it always goes on the wrong cycle for its contents. If you want to make sure your dishwasher gets your dishes clean, make sure you limit what you put in there. Dishes can be rinsed in cold water first if they’re overly soiled. If there are any solid food items, they should be discarded of in the trash.